The market offers many A/C service units with a hybrid option, but not all of them are efficient. Although everyone in the industry agrees that thorough flushing of the complete system is required when changing from one refrigerant to another. SAE J 2843 H stipulates a maximum permissible oil cross contamination of 0.1% on the total oil volume. For 150 ml of PAG oil this translates to a mere 0.15 ml (i.e. less than a drop of oil). 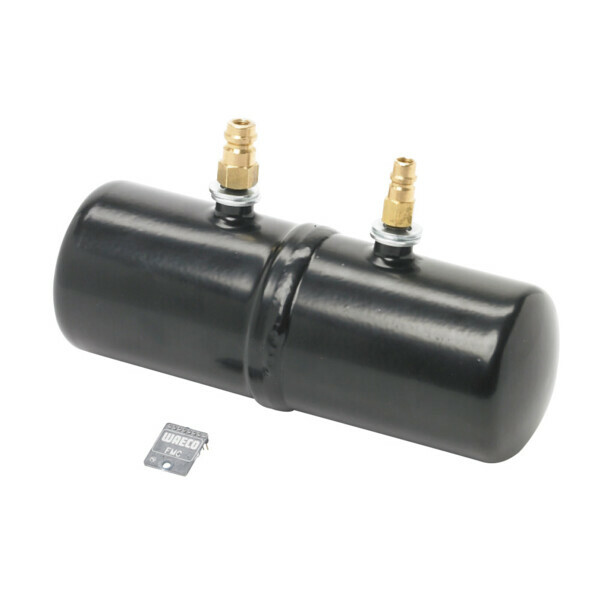 That said, it won’t be enough to just hook on the service hoses and flood the system with refrigerant, as is common practice with some service units available in the market. Refrigerant lines, magnetic valves and service hoses will always contain residual oil, which can lead to cross contamination and dangerous high-voltage exposure. Dometic WAECO’s hybrid concept works as effectively as a high-pressure cleaner. An additional flush container is installed in the service unit and put under vacuum. The refrigerant required for cleaning the unit’s internal components is forced through the system several times, under high pressure and in alternating direction. The result: service hoses, magnetic valves and the lines are compliant with SAE J 2099 (approved by ILK Dresden). Special flush container for ASC-series service units. 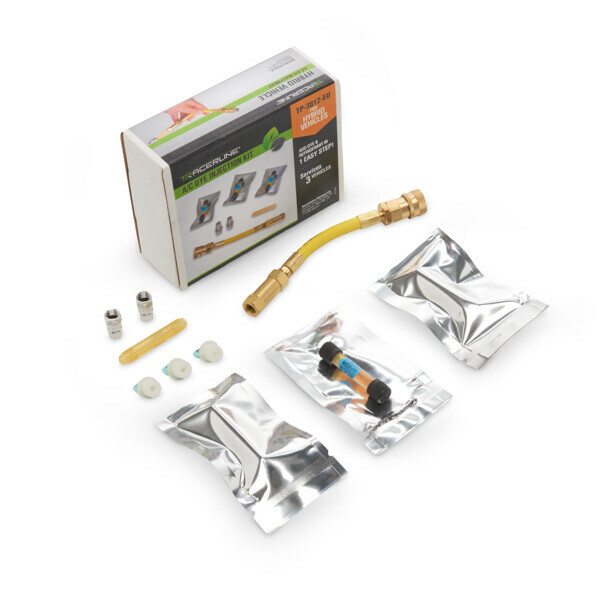 UV additive injection kit for hybrid vehicles.